I have a Doral 33’ express cruiser with a Victron Energy Centaur Charger. I’m not sure how everything is hooked up, but I have 4 batteries with 2 motors, house, and generator. Anyway, I’d like to transition from the currrent lead acid batteries to AGM batteries and I just bought a larger AGM battery to replace the house battery. The charger manual says I can change a setting based on the battery type, but I think that’s for all. 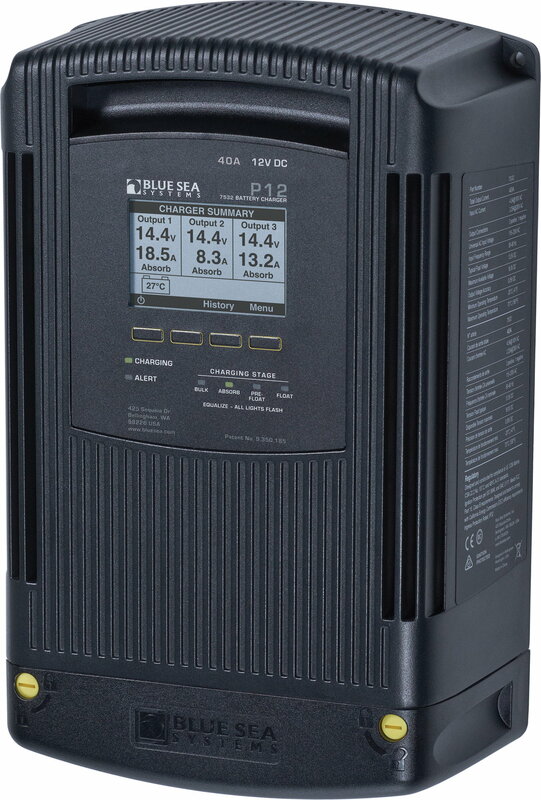 So for now, if I have both a AGM house battery and other lead acid batteries, what is the best choice for the charge type and how big of a deal is it? Also, when hooked to shore power, should I always have the charger on, or only if I think I really need it? From what I have read it is best not to mix the battery types using the same charger. A lead acid charger set for lead acid will not fully charge an AGM and if set to AGM might overcharge the lead acid. The end result is possible shortened battery life. Thanks for the info, guess I need to research this further. I don't think I want to buy more batteries just yet to replace batteries that are working, so I may have to compromise for now and making the safest selection, recognizing that may impact the battery life for the batteries on the wrong selection. I think the charger has three choices, Gel, Lead Acid, or AGM. I sent an email asking the manufacturer of the charger what they think as well. From what you suggested, sounds like Lead Acid is a safer choice, better to risk undercharging the AGM than to overcharge the lead acid. I know several of the newer digital multi bank on board chargers aimed at the trolling motor market let you select battery type on each charger bank. After selecting battery type, the charger will charge with different charge profiles on different banks. I would think you could find a charger designed for your application that will do the same. Not sure about all the other brands, but the Powermania chargers are user selectable for each bank. For example, my trolling batteries are AGM, and the starter batteries are wet cell. The charger is set to charge based on the type of each bank. When you are charging from the engine, most likely you will be using the same profile (if any) for all of the batteries. Most outboards have sufficient voltage to properly charge an AGM, The flooded lead acid and AGM are close to the same profile and will tolerate up to 14.5 volts. The Gel should not be charged at more than 14.1 volts. At this point, I would the main house bank on the Centurar Charger with AGM profile set. If you have a generator, it will keep its own battery charged adequately. The main engine/engines, are probably OK without a charger, or put them on a small maintenance charger. As you add the AGM start batteries, you can switch them over to the Victron Energy. I assume that you have an ACR to isolate the batteries when you shut down the engine. Caution using it with the battery charger--it will energize unless you have a way to turn it off. I am experimenting with a LiFePO4 battery dedicated to my refer/freezer, which is my main cruising draw when at anchor. The lithium battery is an entirely different profile and cannot be combined with the other flooded lead acid battery. It is totally isolated from the house system. There is a 3 way switch (House, lithium or off) to the freezer/refer. Thus I am using a special charger for the LiFePO4 battery alone, and my other charger for the house and engine start batteries. What brand AGM battery? The profile is the same for wet cell and many AGM that are not the premium or spiral wound. For example, a Deka AGM can be charged with the regular wet cell profile. Duracell platinum from Sams Club. That is the Deka battery relabeled. It is perfectly fine to charge that on flooded cell setting. That is what I have and the setting I use. Whenever docked leave charger on. My Minn Kota 3 bank charger is totally automatic and it charges anything, but lithium ion. I would encourage you to inquire of them if you are inclined to use their 4 bank charger. I've owned two of their chargers, a two and a three bank and they are designed very well, including being water proof, and each lead being fused. I'm inclined to believe you could use the MK charger with wet and AGMs at the same time, but have never tried it or inquired about it. Charger manufacturer said OK to charge both lead acid and AGM on the lead acid charger setting.